Welcome! > Favorites > Should You Be Taking Turmeric Orally For Acne? Turmeric has so many uses that it’s quickly becoming the “trendiest spice” on social media. It doesn’t just make your food taste great, it’s packed with loads of antioxidants and seems to make it to the top of every DIY health and beauty hack list. I’ve even used turmeric before to make homemade foundation using a cocoa-based recipe (add a little turmeric to a mix of cocoa powder, cornstarch and cinnamon to get a gorgeous brown/bronze color). Now, there’s one more thing to add to the list of reasons why turmeric should be in your grocery cart during your next Target run. 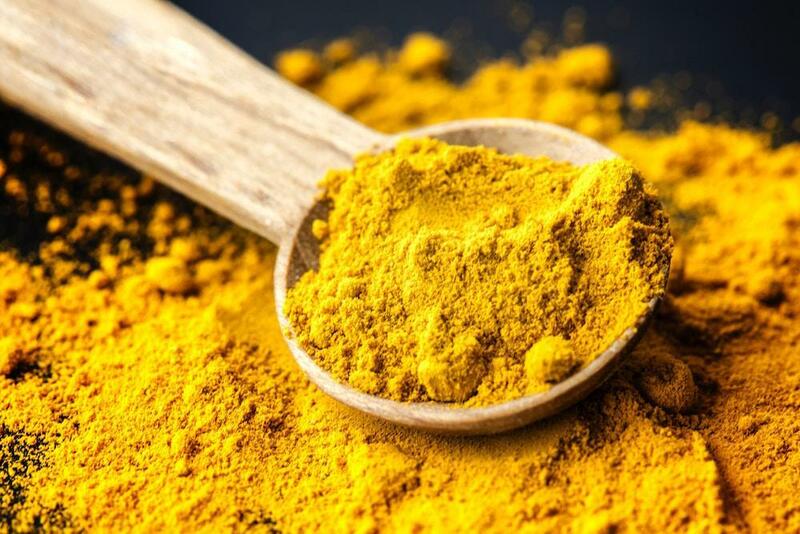 If you are prone to breakouts or irritated skin, taking turmeric orally for acne is rumored to clear your complexion without the side effects an over the counter drug may have. Some people swear that it also decreases inflammation, and boasts anti-aging properties. Make this turmeric, milk, & honey mask for glowing skin. But does it really work in any form? I was first drawn to turmeric because of my sensitive skin. I’ve had an allergic reaction to nearly every popular skincare brand. You name it, my skin hated it. After serious breakout number five, I decided to go the natural route and see if there was any truth to what Snapchat hails as the new miracle food (RIP coconut oil). When I applied turmeric to my skin, I was skeptical at first about its healing properties. But after using it for a few days, I noticed serious improvement in the wake of what my acne left behind. According to a recent study, turmeric contains a natural anti-bacterial property called curcumin which gets rid of the bacteria responsible for your acne. We already know that the best way to fight acne is from the inside. Turmeric comes in capsule form and is said to the same results as its spice counterpart. However, there aren’t enough studies that definitively prove whether one form of turmeric is better than the other, but if your skin is like mine, it doesn’t hurt to try different avenues. If you’re interested in taking turmeric orally for your acne, check out these supplements and see which ones are right for you. This turmeric extract contains a super mix of turmeric, black pepper, and ginger root to reduce inflammation and boost your immune system. You can add it to your green smoothie for an extra boost. If you’re not a big fan of turmeric’s naturally strong taste, you’ll gravitate towards this powder better since it tastes like a vanilla chai latte! Taking this supplement regularly can help you fight acne. The site advises that you take it no more than three times a day and with food or water. You can find this in any vitamin shop. Turmeric doesn’t just fight acne; it’s also great at relieving joint pain. This supplement comes in tablet form and is free of harmful chemicals. Although this one is a bit of a splurge, the health benefits more than make up for it. These tablets are vegan, packed with essential vitamins and are made with ingredients from an organic farm. Turmeric helps you glow inside and out!